What a Transformation Special Education Director Would Look Like: Characteristics of Transformational Leadership. By Angelise M. Rouse, Ph.D.
Great Hearts Academies has an immediate need for a full-time Special Education Teacher/ESS Coordinator at Teleos Preparatory Academy, Veritas Preparatory Academy, and Archway Lincoln. 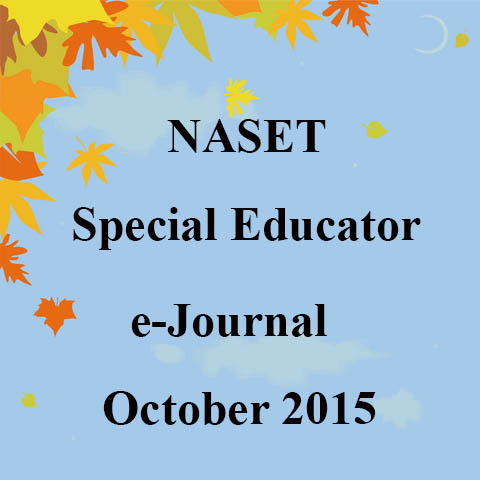 Additional 2015-2016 special education teaching positions may open midyear. Providing direct and consultative services to students with IEPS in the school environment, collaborating with related service providers, assisting general education staff in the implement of accommodations and modifications, writing and maintaining all IEPs, Prior Written Notices, and MET paperwork while ensuring compliance with ADE guidelines, facilitating all initial and annual IEP meetings, as well as MET 1 and MET2 meetings, and ongoing communication and collaboration with parents, staff, and administrative staff regarding student planning and progress. Additional responsibilities include coordinating 504 plans and may include conducting AZELLA testing and ELL programing to eligible English language learners. Candidates will need to hold a valid Cross-Categorical or Learning Disability Special Education, K-12 Certificate with SEI endorsement, and have a current AZ fingerprint clearance card. Great Hearts teachers must also demonstrate a commitment to and love for the liberal arts. Candidates must apply online via our careers website at www.greatheartsamerica.org/careers. Follow the links to Arizona positions and choose the position of interest to begin the application process. The site allows applicants to submit additional materials (resume, reference letters, transcripts, etc.) for review by Great Hearts hiring staff and Academy Headmasters. The Graduate School of Education seeks a collaborative and energetic colleague to assume a tenure track position in the field of special education. Currently, the GSE offers a limited number of courses at the master's level for those seeking initial license as a teacher of students with moderate disabilities; however, we are developing a Bachelor or Arts in Education degree with an option in special education. The newly appointed faculty member will play a lead role in delivering the undergraduate degree and advising students, as well as teaching master's level courses. The University of Massachusetts Lowell (UML) is in the city of Lowell which has a population of approximately 110,000. Lowell was the first planned industrial city in the USA and is the home of the Lowell National Historical Park. Lowell is 30 minutes north of Boston. The university serves a diverse population of 17,000 students in over 120 degree programs. UML is a nationally ranked public university which, in the past 5 years, has seen tremendous growth in its undergraduate and graduate populations, the number of faculty, and the facilities available for teaching and research. The Graduate School of Education is one of six colleges at the university and serves approximately 450 graduate students and a growing body of undergraduates enrolled in two education minors. Cover Letter: Should include your teaching philosophy and future direction of your research. Other Document 1: Please include/attach proof of a current or past K-12 SPED teacher or administrator license. Other Document 2: Please include a list of all undergraduate and graduate courses in special education that you have taken during your academic career. Sample of Scholarly Work/Publication: The sample of scholarly work should be a journal article or a paper presented at regional or national conference. Review of applications will begin on 10/08 and will continue until the position is filled. However, the position may close when an adequate number of qualified applications is received. Star Academy is a non-profit, non-public school, located in San Rafael, CA, serving students with learning differences in grades 1-12. Star Academy is a calm, nurturing and stigma-free school whose therapeutic model seamlessly integrates classroom and specialist instruction. The high quality teachers create a community that acknowledges and accommodates varying needs of student and individualized instruction. Community involvement is encouraged. The result – confident kids. At Star, students face mild to moderate challenges such as: dyslexia, executive functioning deficits, dyscalculia, auditory processing, dysgraphia, ADHD and Asperger's. Elementary, middle and high school students all benefit from Star's calm, nurturing, and supportive environment, which are conducive to learning. High school students earn their high school diploma or certificate of completion and prepare to transition to college and/or other pursuits. The Head of School, in collaboration with the Director of Education (DOE) has responsibilities related to the hiring, retention, supervision, mentorship, and evaluation of faculty. They work collaboratively to ensure that the Star's mission and vision is followed. Embody, manifest, and advocate the mission of the school. Represent the school to all of its constituents including parents, students, alumni, business community, faculty, and staff as well as state and federal agencies, and local, state, regional, and national educational organizations and accrediting agencies. Manage the day-to-day operations of the school. Partner with the Board of Trustees and its Committees. 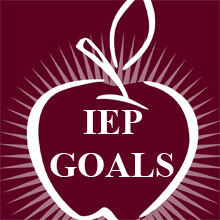 Act as liaison with other school districts for IEPs; represent and be an advocate for parents during the IEP process. Experienced as an administrator; administrative and teaching credential(s) desirable. An accomplished educator experienced with an understanding of the impact and challenges of children with learning differences. Well-versed with multisensory classroom curriculum and approaches to learning, differentiated teaching for different learning styles and multi-grade classrooms, utilizing technology as an instructional tool, occupational therapy services, speech and language services, and Social Thinking® curriculum. Have a proven track record of successfully facilitating conferences meetings addressing Individualized Program (IPs) and Individualized Educational Program (IEPs). Possess leadership, communication, and interpersonal skills to help the school maintain and grow in its commitment to provide the best education for children who learn differently. Strong leader who recognizes strength of team and effectively manages, collaborates, delegates and builds a community. Excellent, responsive communicator and listener with consistent follow. Judith Glickman of Educators' Collaborative is eager to interview interested candidates: (415) 655-9974 or jglickman@educatorscollaborative.com. Are you a Special Education Teacher with experience in a self-contained setting? Progressus Therapy has a position for you in Tampa, FL, Columbia, MD, Chicago, IL, Philadelphia,PA, Santa Cruz, San Francisco, Sacramento, CA starting immediately. Join a team of professionals working towards positive outcomes for students. Special Education Teachers play an integral part in the lives of children so call Progressus today at 800-239-7979 to speak to a Career Service Manager. Cave Creek Schools has a $4,000 Sign On Bonus for a Self-Contained Special Education classroom teacher. To lead students toward the fulfillment of their potential by translating the district curriculum goals and objectives into learning experiences for each individual student in the district. Please go to our website https://ccusd93.tedk12.com/hire/index.aspx and fill out an online application. Scan and attach three letters of recommendation, copy of certificate, fingerprint card, transcripts, proof of Highly Qualified Status (NES/AEPA tests) and resume. Cave Creek School District is an "A" district with 7 A+ Schools of Excellence. Visit www.littlelukes.com and click childcare for more information about our childcare philosophy of incorporating education and fun based on our award-winning curriculum. SPECIAL EDUCATION DEGREE PLUS NY STATE SPECIAL ED CERTIFICATION REQUIRED. B-2 SPECIAL ED CERT PREFERRED. National Heritage Academies is seeking Special Education Teachers to join our team in MI, OH, CO,GA, LA, NY, and NC. National Heritage Academies (NHA) partners with community groups to build and operate public charter schools. Founded in 1995, today NHA partners with 80 K-8 schools in 9 states serving over 50,000 students. NHA is one of the largest charter school management organizations designed to eliminate achievement gaps and prepare our students for success in high school, college and beyond. Qualifications differ in every state and can be found on our website at www.nhacareers.com. For more information and to apply, please visit www.nhacareres.com. Qualified candidates may contact Alex by phone at 616-285-1595 or by email acookingham@nhaschools.com. Butterfly Effects, a leading provider of client-centric, in-home and in-school, ABA therapy for those experiencing life on the Autism spectrum, is actively seeking energetic, outgoing, and passionate individuals to become PART-TIME Registered Behavior Technicians! Butterfly Effects currently serves clients in over 30 markets, employing over 500 passionate team members focused on a singular purpose - to create a collaborative environment that promotes meaningful learning opportunities and experiences through individualized ABA therapy, for clients and their circle of support. Availability for part time assignments. Variable hours are available, but emphasis is on after school (3:00 pm – 7:00 pm) hours. Bachelor's degree or a minimum of 48 college credit hours. A commitment to become certified as a Registered Behavior Technician by successfully completing a 40 hour course (no cost involved) in Applied Behavior Analysis. BLS/ CPR Certification or willingness to achieve certification. Willingness to travel to and from clients' homes within 30 minutes of your location. Strong computer and technology skills and reliable internet connection for data input. Butterfly Effects offers great pay and benefits, including paid RBT training, mileage, flexible hours for Part-Time client home therapy, materials provided for free, and free training and supervision by a Board Certified Behavioral Analyst. Making a positive difference in a child's life. AppleTree Early Learning Public Charter School seeks a motivated, passionate and experienced Special Education Coordinator to provide case management and direct services to children identified for special education and related services. The Special Education Coordinator ensures that all children and families with special needs receive optimal developmentally appropriate educational experiences. Under the primary direction of the Special Education Manager and secondary direction of the Principal, the Special Education Coordinator will implement students’ Individual Education Plans (IEPs) in inclusion, push in and/or pull out settings, depending on the IEP Team’s decision about placement and what is appropriate as the student’s least restrictive environment. This position will serve to support the Special Education Manager with administrative tasks including IDEA compliance activities, chairing multidisciplinary (MDT) meetings, and comprehensive case management of all students on assigned caseload participating in the special education program to ensure their academic and developmental progress. The Special Education Coordinator will use in-depth knowledge of early childhood special education practices to provide effective and research-based interventions to children identified for special education services. The Special Education Coordinator will also work with regular education teachers in a consultative manner to integrate these strategies into their practice within the RTI model. The Special Education Coordinator also serves as an Inclusion Coordinator, a resource Teacher or a resource Teacher/Speech Language Pathologist in AELPCS. The inclusion Coordinator fulfills all the aspects of the Special Education Teacher in the school assigned and collaborates with a lead general education teacher to ensure high-quality instruction and coordinate services for all students in their classroom. The Special Education Coordinator reports to the Special Education Manager, with input from the school Principal. Candidates must have, at the minimum, a bachelor’s degree in elementary or early childhood special education, and one or more years of successful professional teaching experience. 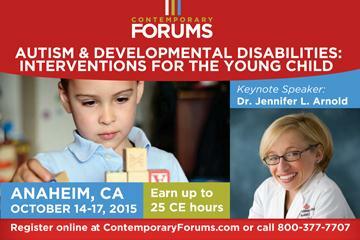 Two or more years of successful professional teaching of young children with special needs is preferred. Both Inclusion and resource teacher candidates must receive a passing score on the Special Education and Elementary Education Content Knowledge (PK-3) by the start of the school year. Salary is commensurate with education and experience. Compensation also includes an excellent benefits package and vast professional development opportunities.